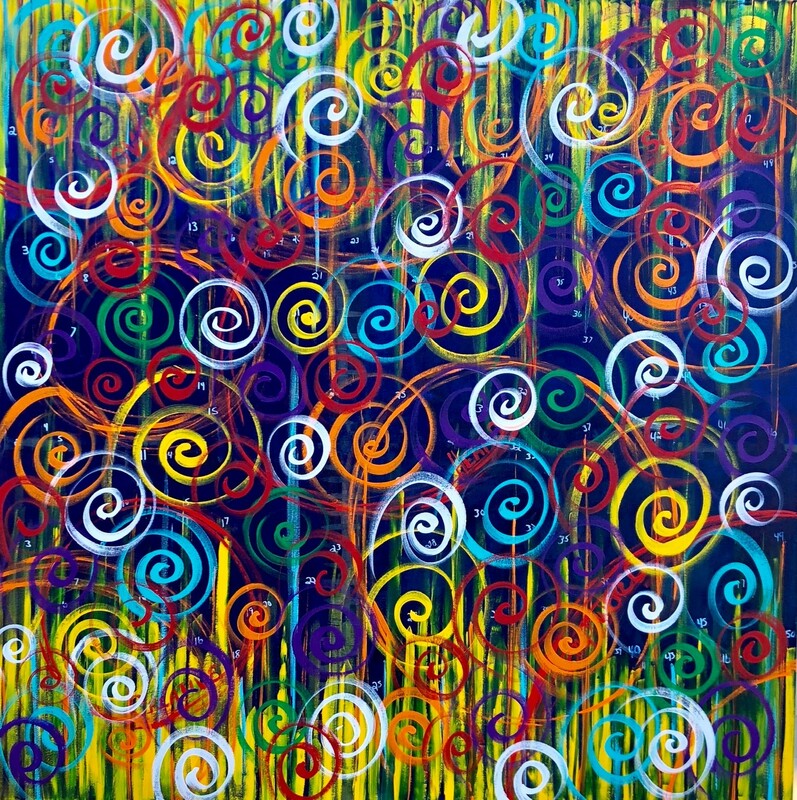 I have decided to step up my fundraising game and offer up a raffle for a commissioned 30” x 30” swirl painting. The process for a swirl painting is a bit more detailed and personal than my normal commissioned work. I haven’t commercialized the new swirl paintings because the process is so intimate. The many layers of a swirl painting have words about the person I am doing the painting for and in this case, if I do not know the winner of the painting personally, they will be able to join me in coming up with the words for the layers. Every swirl painting starts with the words and builds from there, this particular painting will be super colorful and the swirls will be in line with the painting below. The new swirl paintings can only be acquired by me on a commissioned basis, they are not sold in galleries at this time. A swirl of this size would retail for $4000. The tickets will be $25 each or you can buy a ticket group for the prices outlined below. The raffle will end on 05/17/2019. The money from AIDS Lifecycle is used to provide housing, support and medications for people infected and affected by HIV/AIDS. 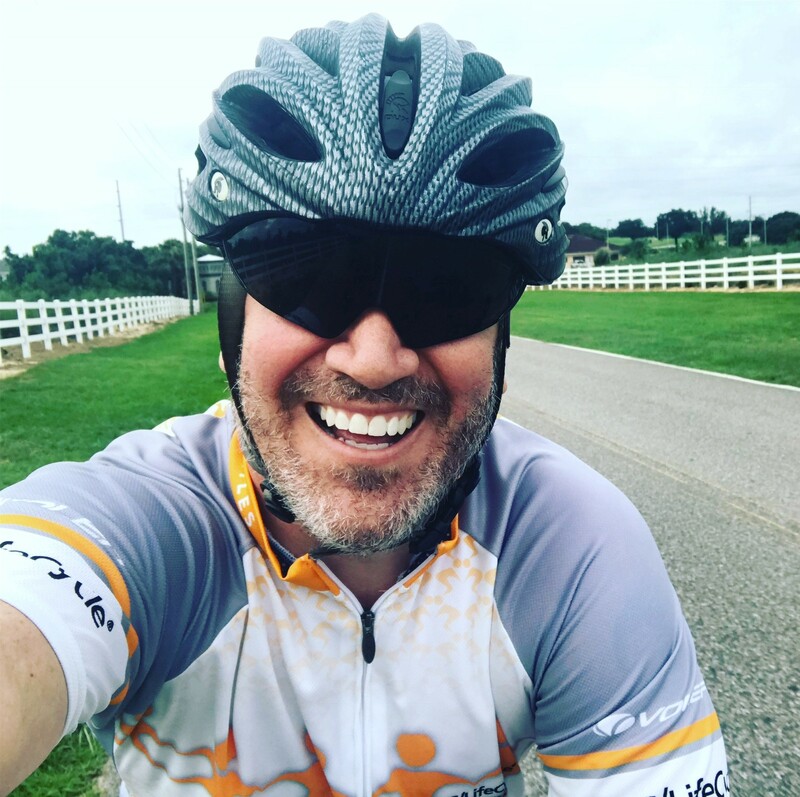 My 2019 AIDS Lifecycle efforts will be dedicated in memory of Oscar Ruiz. Oscar is the late father of my dear friend Ash Ruiz. I have only know Ash for a short time, but man has made an impact. I am so honored to be able to ride in memory of Oscar and will do the ride wearing a bracelet with his name on it so I can use his energy and the energy of his amazing son to get me through the tough days. My overall goal is to raise $10,000 this year, please help me get there and save some lives. If by some magical stroke of the draw the painting is won by a fellow AIDS Lifecycle rider, roadie, volunteer or staff member, I would love for the painting to be about our joint journey on the ride. However, that will be up to the winner! Good Luck everyone and start buying those tickets!! The winner will win a 30" x 30" commissioned swirl painting. The painting pictured is not the painting being raffled. That is just an example of a swirl painting for reference.